Chevrolet is giving Colorado ZR2 buyers that want to do some extreme off-roading one more option. 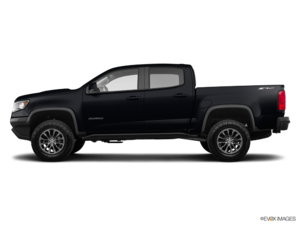 The all-new ZR2 Bison is a beefed-up ZR2 with maximum protections under the body, a different and exclusive Chevrolet-lettered grill (no bow-tie) and plenty of other features as well. 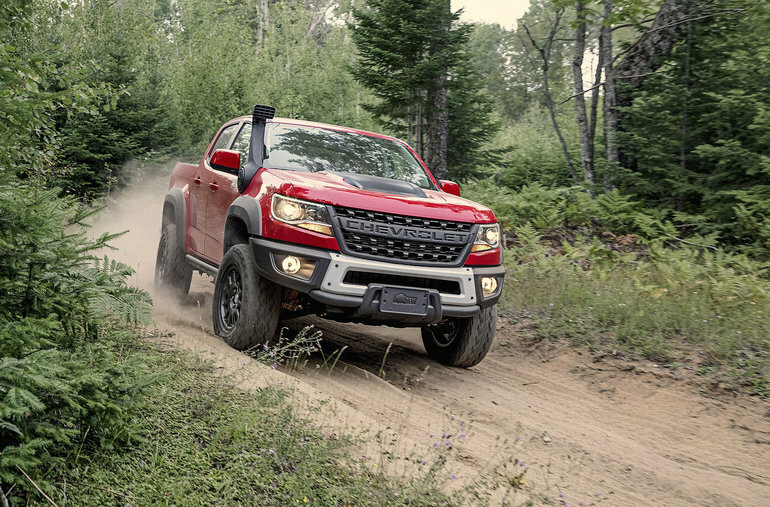 “Half of Canada’s Colorado buyers are choosing Z71 or ZR2 models that provide incredible off-road capability without sacrificing on-road drivability,” said Doug Kenzie, national marketing manager for Chevrolet trucks in Canada. The 31-inch Goodyear Wrangler Duratrac off-road tires sit beneath larger fender flares and wrap all-new, ZR2 Bison-specific 17 x 8-inch aluminum wheels. This new Colorado variant also features “Bison” decals on the bed sides, an “AEV Bison” logo on the tailgate and embroidered AEV logo floor liners and front head restraints. Class-exclusive front and rear locking electronic differentials. Revolutionary, segment-exclusive Multimatic DSSVTM dampers. Like ZR2, Bison also features a modified rear axle with a 3.42 ratio, front and rear tracks widened by 3.5 inches and a factory suspension lifted 2 inches over a Colorado Z71. 2.8L Duramax Turbo-Diesel engine paired with a six-speed automatic transmission, capable of 186 horsepower and 369 lb-ft of torque. Choice of crew- or extended cab configurations (including short and long beds, respectively).